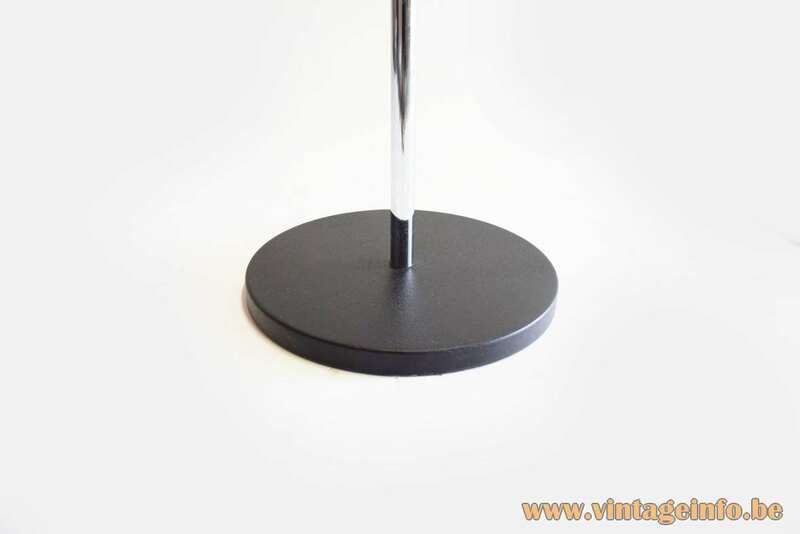 Materials: Black painted metal round base, painted with wrinkle paint. Cast iron counterweight inside the base. Chromed metal (iron) rod. Black painted lampshade, also painted with wrinkle paint. Porcelain socket, aluminium reflector. Some metal and plastic parts. Electricity: 1 halogen double ended light bulb R7S – J Type T3. 1 x 300 watt maximum. 110/220 volt. 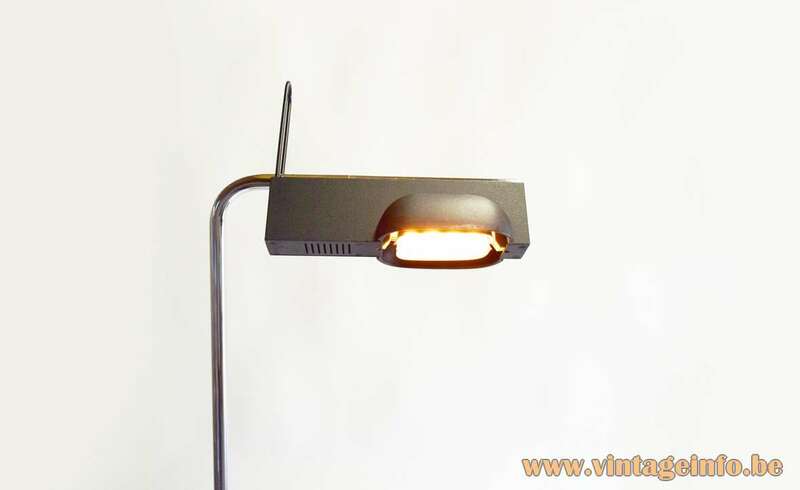 Manufacturer: Artemide, Pregnana Milanese, near Milan, Italy. 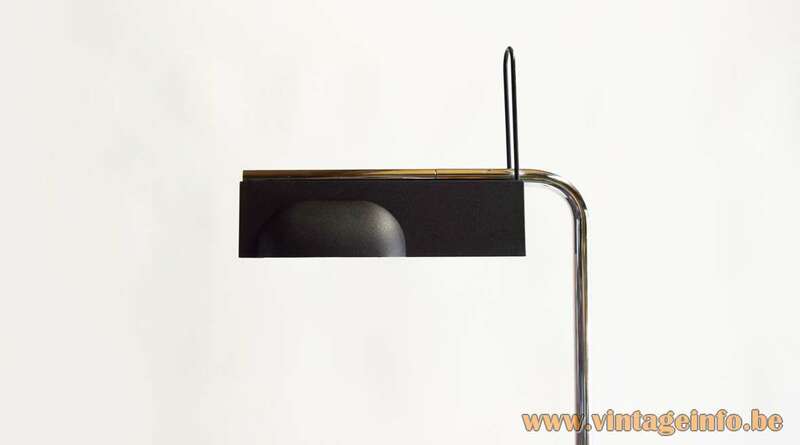 Other versions: Also made as a table lamp. Ernesto Gismondi was born in San Remo, Italy on December 25, 1931. In 1957 he graduated in Aeronautical Engineering at the Milan Polytechnic and in 1959 he gained a degree in Missile Engineering at the Professional School of Engineering in Rome. 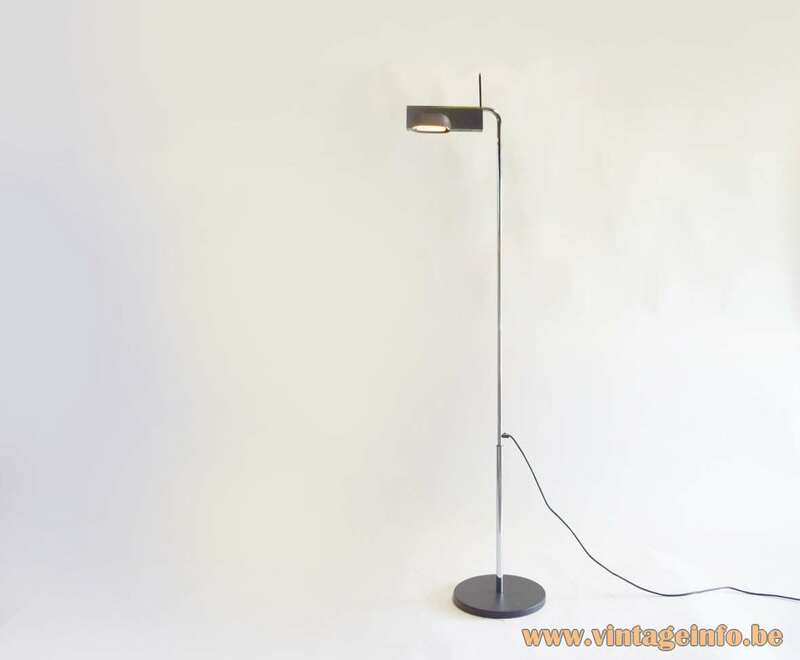 Since the beginning of the 1960s he has been devoting to the planning and production of lighting equipment, founding Studio Artemide S.A.S., together with designer Sergio Mazza. He became established as an international designer, participating, as one of the inventors, in “Memphis”, an avant-garde movement that brought about a profound evolution in the design sector and designing many successful appliances for the Group. The Artemide Group is based in Pregnana Milanese, Italy. 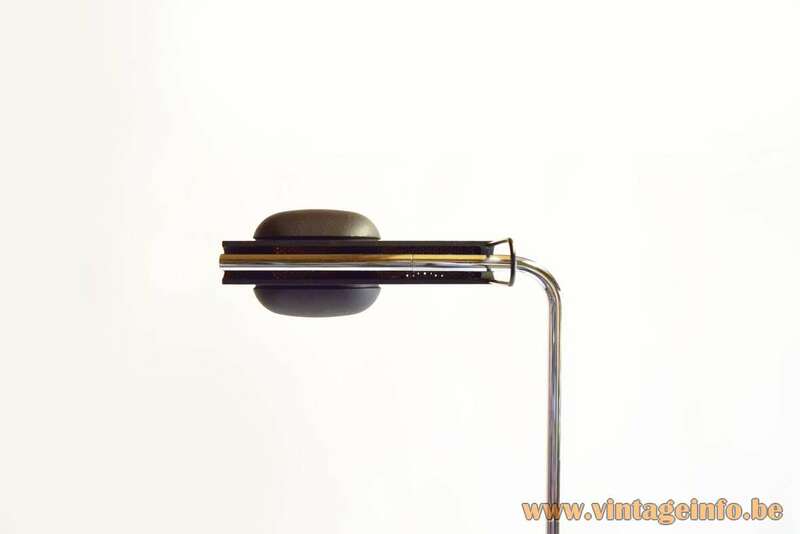 The company is best known for the Tizio desk lamp designed by Richard Sapper in 1972 and the Tolomeo desk lamp, designed by Michele De Lucchi and Giancarlo Fassina in 1986. Designers who have collaborated with the company include Mario Botta, Sir Norman Foster, Ettore Sottsass, Enzo Mari, Neil Poulton, Karim Rashid, Giò Ponti and many others. 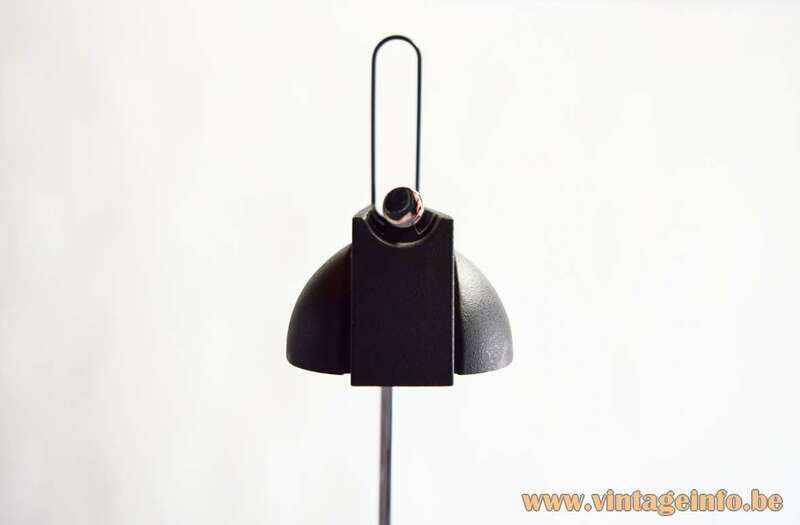 The dimmer was made by Relco from Buccinasco near Milan in Italy. It was designed by Ezio Didone in 1981. Ezio Didone designed a few dimmers for the company. 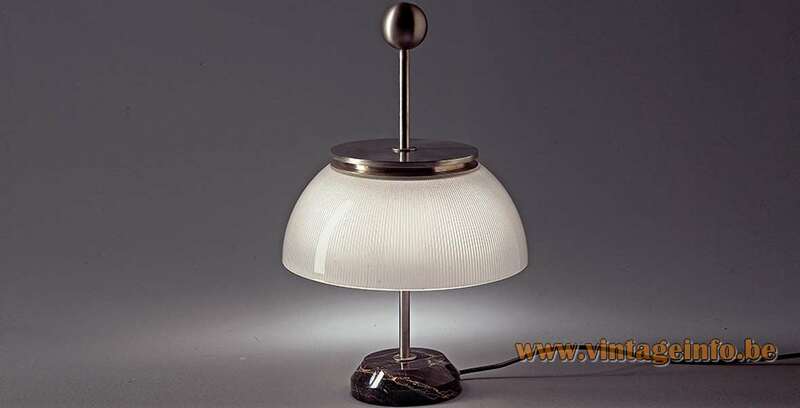 He also designed beautiful lamps. 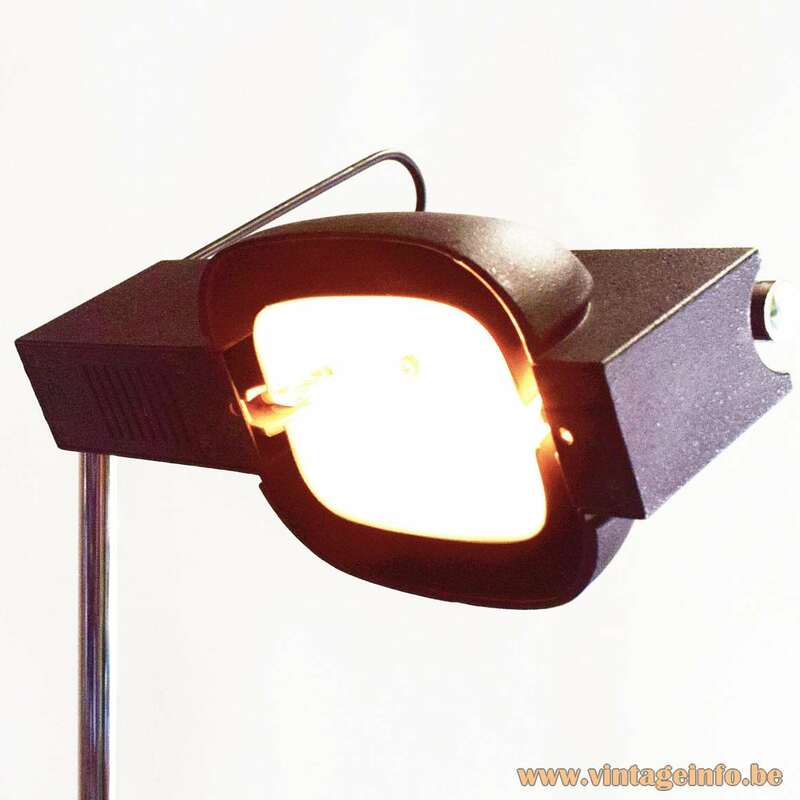 Several lamps are on display here on Vintageinfo. 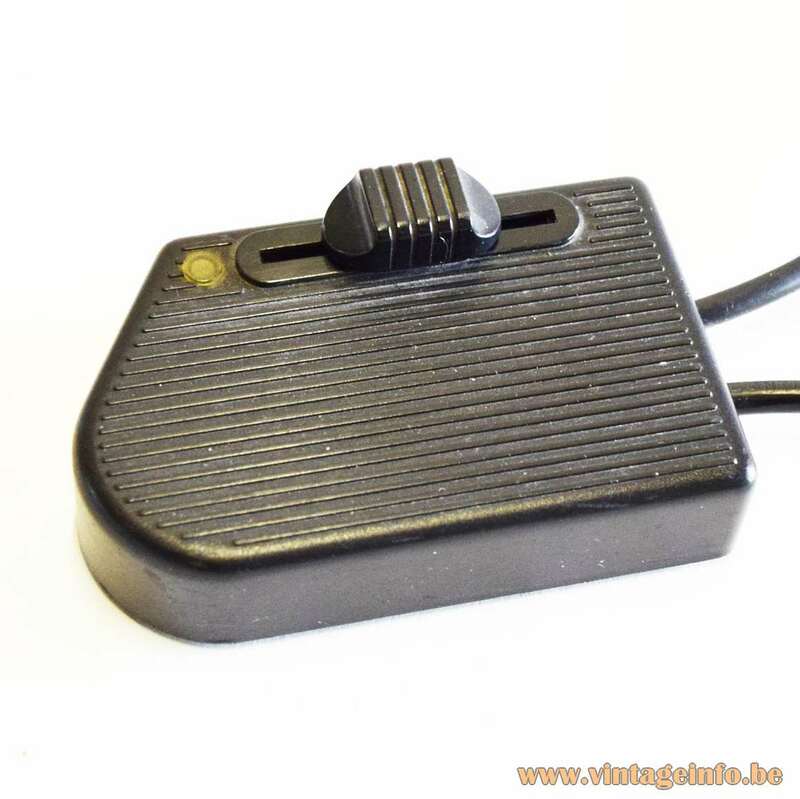 Relco is famous for the switches they produce that are designed by Achille Castiglioni (1918 – 2002) and were produced by the VLM Components company. VLM is owned by Relco. Left to right: 1. Callimaco floor lamp, 1982, Ettore Sottsass. 2. 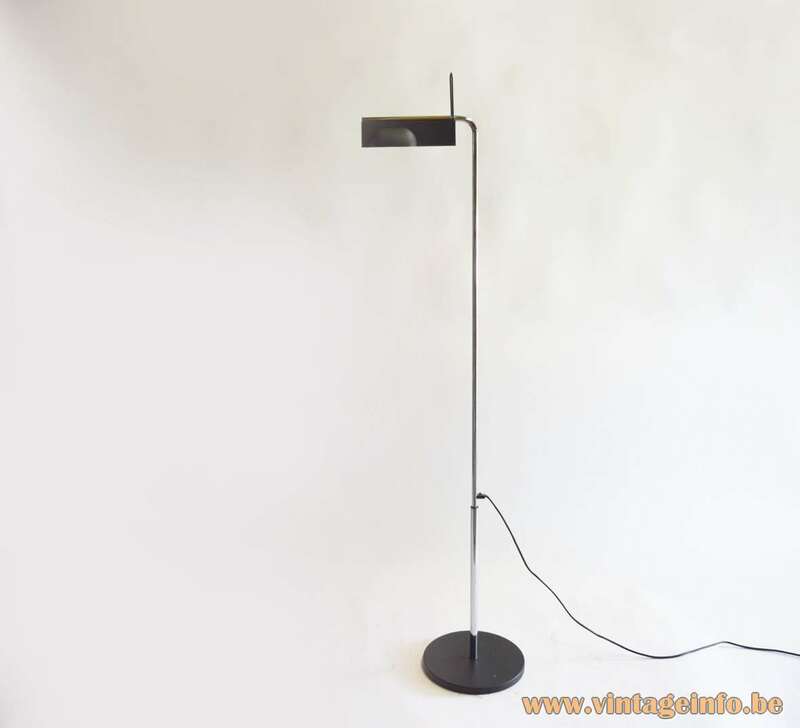 Camera Terra floor lamp. 3. 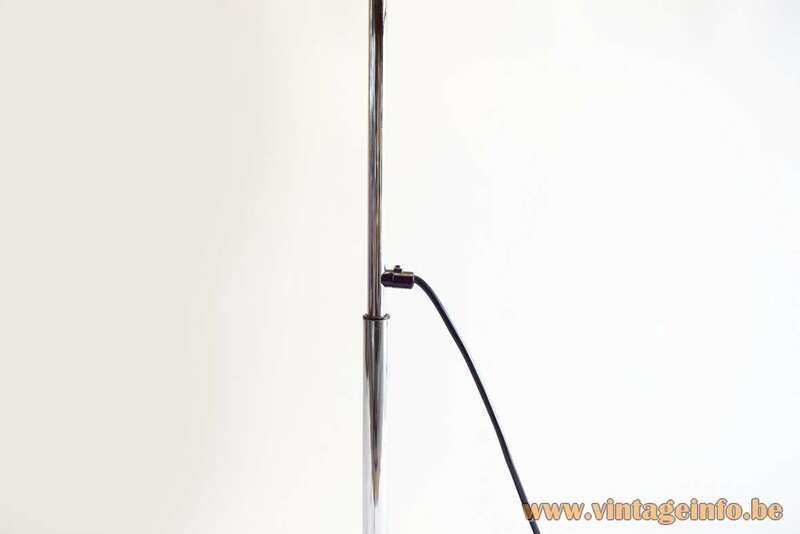 Chimera floor lamp, 1969, Vico Magistretti. The first lamp of the Artemide company was the Alfa table lamp, designed by Sergio Mazza in 1959, in production from 1960 until today.